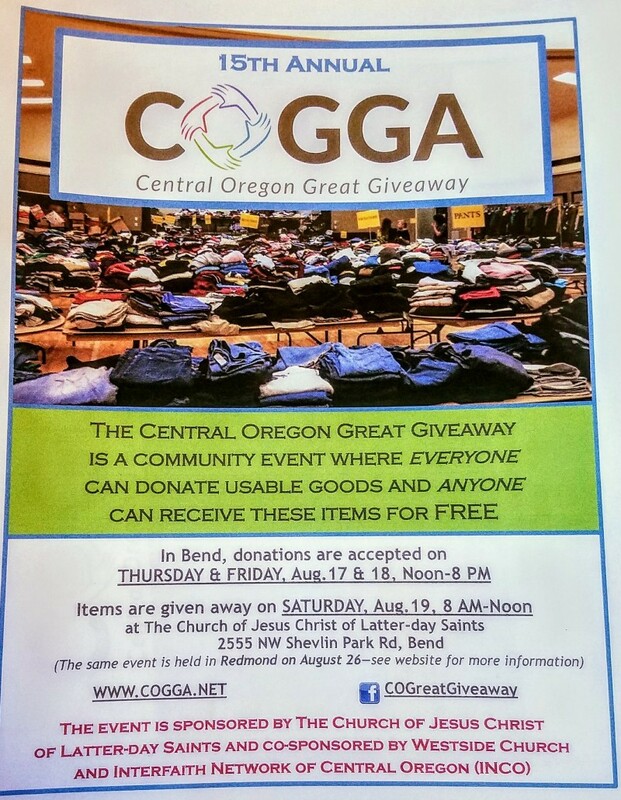 Interfaith Network of Central Oregon - SPECIAL events - August 19th - Central Oregon Great Giveaway!! 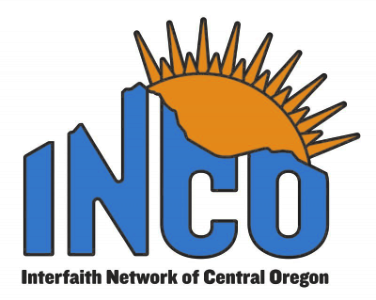 INCO is co-sponsoring this community event with The Church of Jesus Christ of Latter Day Saints and Westside Church. 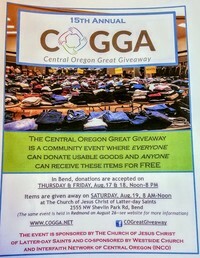 It is open to everyone, and we invite you to donate your usable items as well as come get what you need!! IF you would like to volunteer at this event, email INCO at InterfaithNetwork@outlook.com!! !